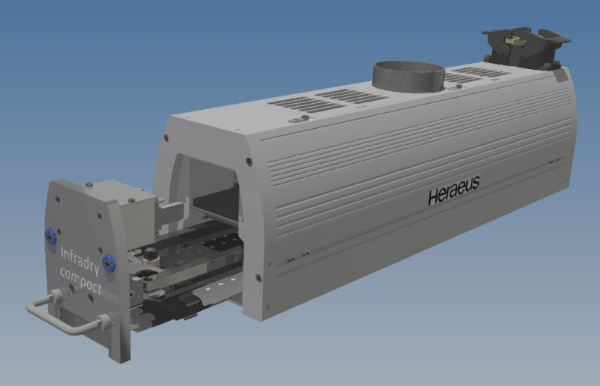 A fast response medium wave (FRMW) infra-red heating system from Heraeus Noblelight is helping Dura Automotive Systems of Castle Bromwich to ensure the reliable and precise adhesion of molded thermoplastic sealings to custom-designed, automotive glass windows. The system is located in a robotic cell and integrates exactly with the robot cycle. Dura Automotive Systems is a global operation, employing over 12,000 people, with its headquarters in the USA. It is the world’s leading independent designer and manufacturer of driver control systems, seating control systems, safety hardware, structural body systems, exterior trim and integrated glass systems. The company’s products feature on more than 300 models worldwide and it supplies automotive products to every original equipment manufacturer in the Americas, Asia and Europe. 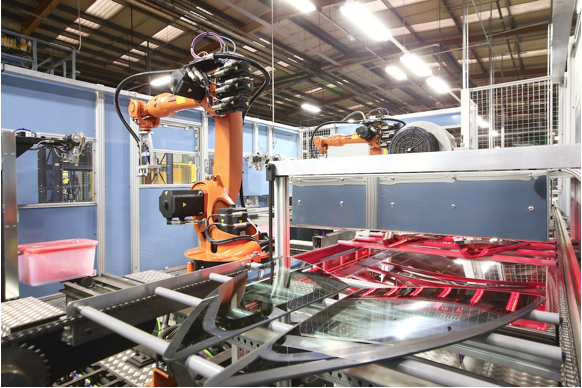 Its factory at Castle Bromwich specialises in Automotive structures, glass and trim solutions. 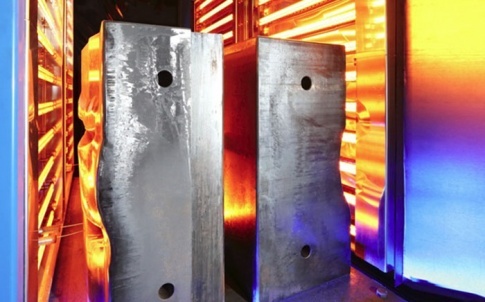 When it was awarded an important contract by a major British car maker to produce quarter lights featuring a molded sealing around the edges, Dura contacted Bauromat (UK) Ltd a recognised leader in robot manufacturing cells. Consequently, a cell featuring two Kuka robots was installed to carry out the delicate operation of applying a prime adhesive coating to the quarter glass to allow a molded seal to be affixed in a subsequent operation. 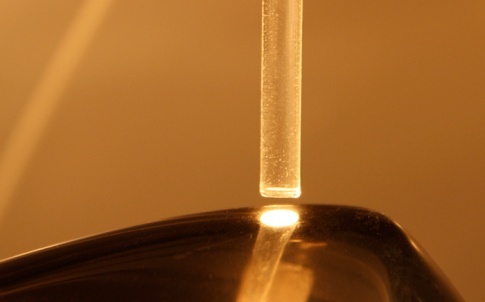 However to ensure ideal adhesion of the molded seal to the prime coating it was necessary to heat the coating to a specified temperature to achieve the required cure and “tackiness” before the glass is precisely over-molded in a further operation. Infra-red was considered to provide the best solution to this problem. 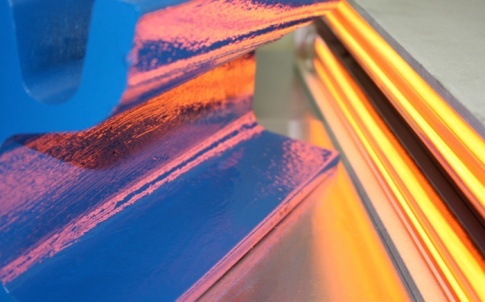 Unlike a warm air oven, an infra-red system takes up very little space, can be precisely controlled to synchronise with the robot operations and is very energy-efficient. 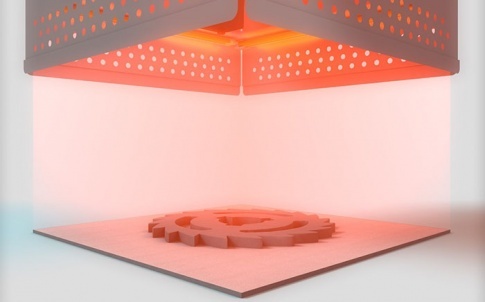 Tests were carried out at Heraeus Noblelight’s Applications Centre in Neston, Wirral, and these proved so successful that a 24 kW Carbon medium infra red (CIR) system was installed in the robot manufacturing cell. 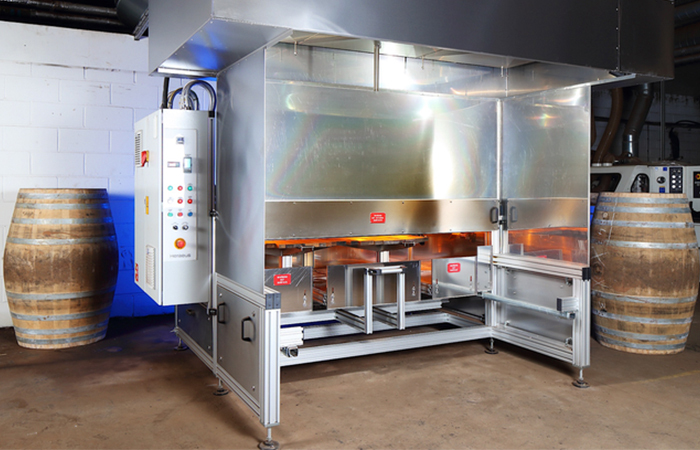 This is designed to heat one large item of glass or two smaller ones, according to production requirements and is Pyrometer controlled to maintain a set coating surface temperature.